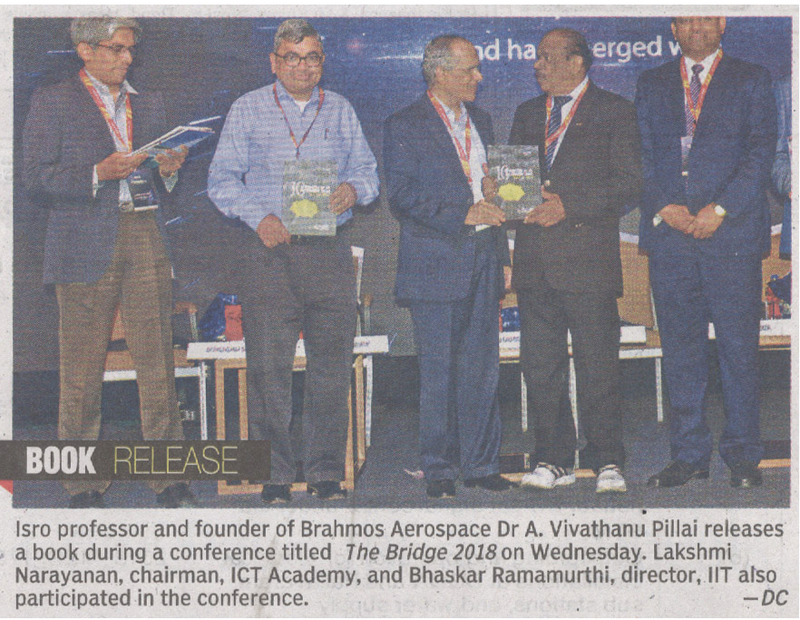 ISRO professor and Founder of Brahmos Aerospace Dr Sivathanu Pillai releases a book during the Bridge 2018 conference. Lakshmi Narayanan, Chairman, ICT Academy and Bhaskar Ramamurthi, Director, IIT also participated in the conference. Prof Bhaskar Ramamurthi, Director, Indian Institute of Technology, Madras.